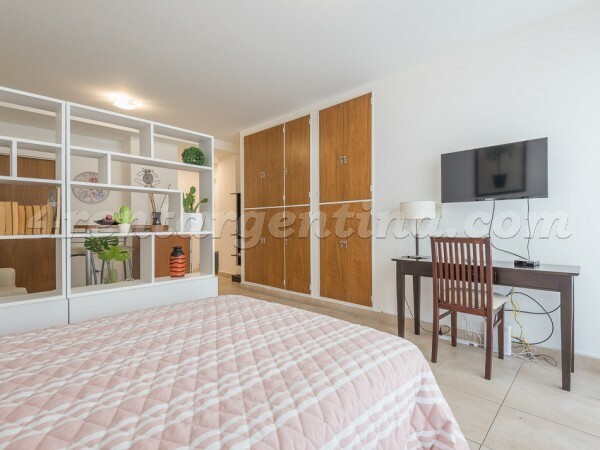 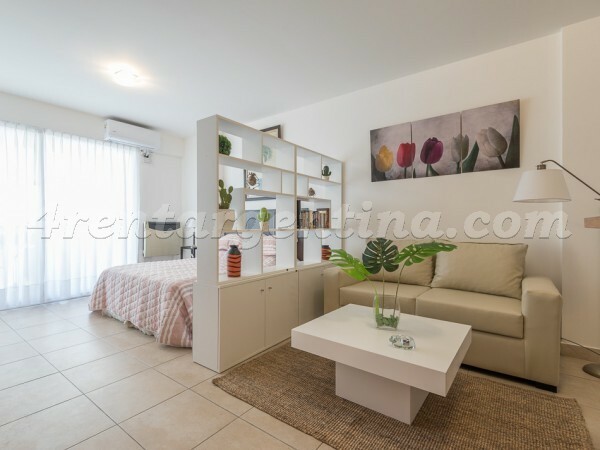 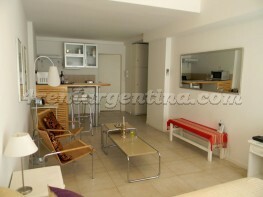 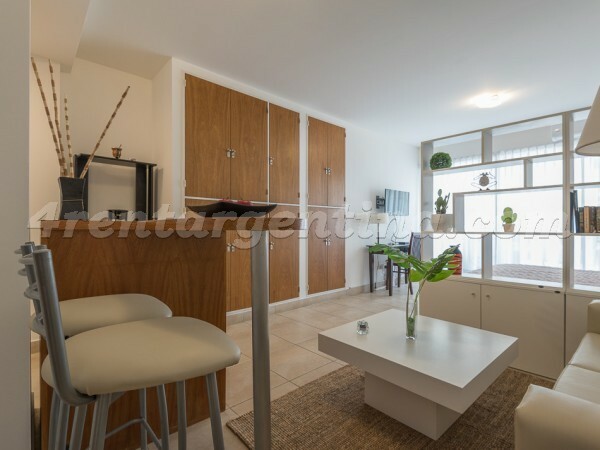 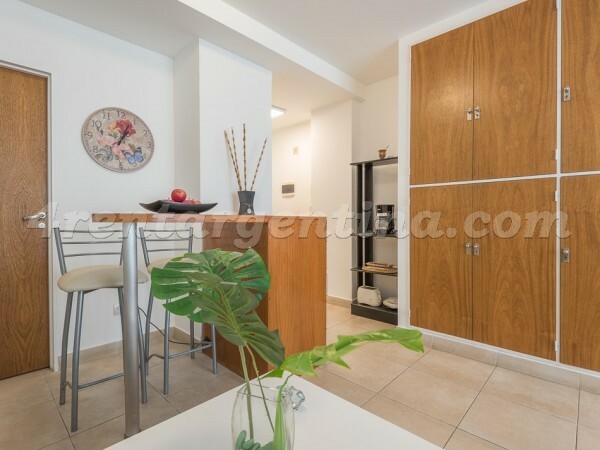 Elegant furnished studio apartment located in the heart of Palermo, one of the most beautiful areas in Buenos Aires, a few minutes away from Downtown, since Subway Line D crosses neighborhood. 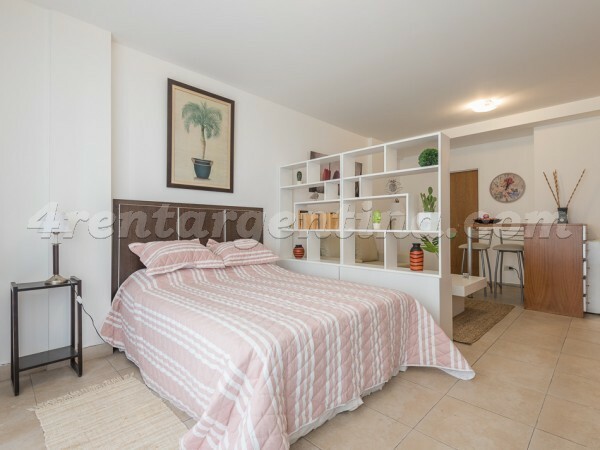 It is situated only 3 blocks away from the prestigious Alto Palermo Shopping Mall and close to several commercial areas, such as Santa Fe Avenue, and great restaurants and bars to enjoy some delicious Porteño dishes. 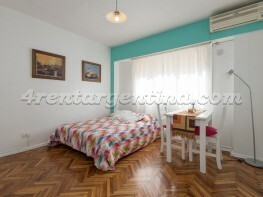 Very cozy and luminous, thanks to a great window and balcony. 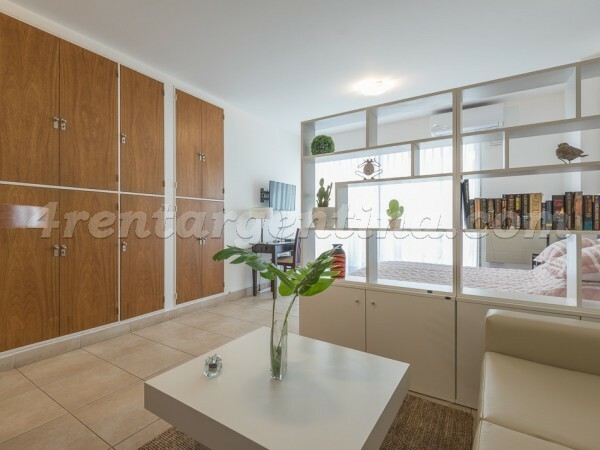 This apartment for temporary rent has a double bed, cable TV, stereo, internet WI-FI, heater, a full bathroom with tub, and a fully-equipped kitchen. 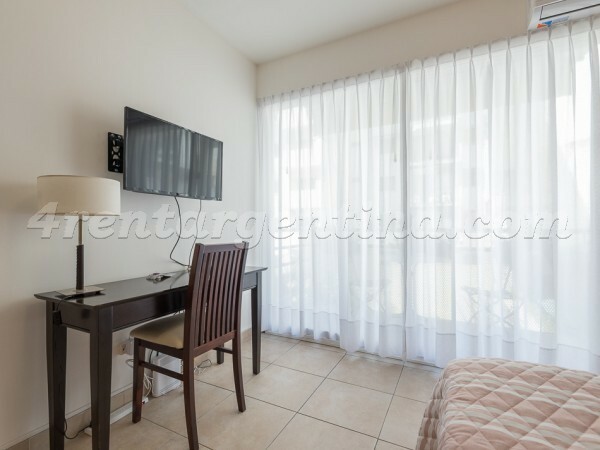 This excellent lodging option has a solarium, a laundry-room and a fantastic grill to enjoy great asados (typical Argentine barbeques).